promotes optimal health and beauty in a comfortable, supportive setting. Douglas Family Dentistry has been dedicated to the same simple maxim for more than 30 years: to provide each patient with dentistry that promotes optimal health and beauty in a comfortable, supportive setting. Douglas Family Dentistry is there for all of your general and cosmetic dentistry needs such as teeth whitening, veneers, crowns, fillings, bridges, and implants. The professional team at Douglas Family Dentistry use state-of-the-art technology and innovative techniques to provide patients of all ages with outstanding dental care. The practice is headed by Paul D. Douglas, DDS, a cosmetic dentist in Scottsdale Arizona. 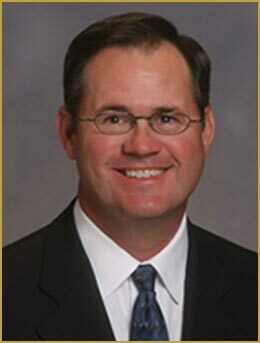 Dr. Douglas is a graduate of the USC Dental School. He has logged thousands of hours of post graduate work in order to become an expert at both general and cosmetic dentistry. Dr. Douglas always consistently provides outstanding patient care. 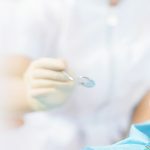 Always a supporter of state of the art techniques that improve the patient experience, Dr. Douglas has created an Arizona dental practice that delivers a spectrum of dental services in an inviting, professional, and caring atmosphere. Dr. Douglas’ professional credentials include membership status with the American Dental Association, the Academy of Cosmetic Dentistry and the Central Arizona Dental Society. He is also a fellow at the Academy of General Dentistry. Dr. Douglas is joined in his practice by one of the area’s pre-eminent female dentists, Dr. Kyle Gawrys. A graduate of the University of Missouri, Kansas City School of Dentistry, Dr. Gawrys now makes Phoenix her home, continuing to hone her skills through attending workshops and continuing education courses. For those patients who prefer a female dentist, Dr. Gawrys is a knowledgeable practitioner who offers a gentle and professional alternative to customers of all ages. She is a Member of the American Dental Association, Central Arizona Dental Society, the AZ Premier Study Club and Crown Council. Dr. Douglas’ commitment extends far beyond the walls of his dental practice. An Arizona native, Dr. Douglas has made it a cornerstone of his career to give back to the community. From founding the Scottsdale Boys and Girls Club Dental Outreach and participating in the Crown Council/ Smiles for Life program, to supporting Gabriel’s Dream—the Lost Boys of Sudan, Dr. Douglas’ dedication has changed numerous lives for the better. The practice has actively participated in and supported the Crown Council’s Smiles for Life campaign in association with Garth Brooks’ Teammates for Kids Foundation. Smiles for Life is a community effort where hundreds of dental practices professionally whiten teeth to rise money for seriously ill, disabled and underprivileged children. Dentists who participate in the Smiles for Life campaign are members of the Crown Council, which is an alliance of leading-edge dental teams that are passionately committed to promoting oral health, fighting oral cancer and serving their communities through charitable work. When you have your smile whitened, 100% of the proceeds go to the Smiles For Life Foundation. Crown Council dentists donate ALL of their time to whiten teeth during the Smiles For Life campaign. Patients of Douglas Family Dental who whiten their teeth as part of the Smiles for Life campaign save money while getting a bright, beautiful smile. The money goes to help the children and you, along with Dr. Douglas and his team feel satisfaction in knowing that the donations put smiles on the faces of many needy children. Dr. Douglas himself founded the Scottsdale Boys and Girls Club Dental Outreach and ‘Painless Paul’s’ Smile Design Clinic. Through his partnership with the Scottsdale Boys and Girls Club, Dr. Douglas makes a difference in the lives of school aged children at events like Give Kids a Smile, where he offers free dental screenings. At the event, children not only receive a dental checkup, but they also get fluoride varnish and have X-rays taken, which allow the on-site dentists to obtain an internal view of the child’s overall oral health. The Arizona Dental Association follow-up and coordinates additional care for children who need it following the Give Kids a Smile event, regardless of insurance status or ability to pay. Children who participate in the event also enjoy age-appropriate education on oral hygiene, appearances by favorite children’s characters, music and prizes. At Douglas Family Dentistry, we are proud of our community spirit and are dedicated to continuing this tradition wherever we can make a difference. Whether it is deserved or not, many people have an unnatural fear of going to the dentist. Just the mere mention of a trip can bring tension to many otherwise sensible people. However, advances in dentistry have been introduced specifically to reduce those fears and one of the most significant of these is oral conscious sedation. Our Arizona general dentist uses sedation dentistry (twilight dentistry) that helps patient to remain both relaxed and awake during a dental procedure. Dentists are able to control the level of sedation, rendering a person anywhere from awake but relaxed, to deep sedation where a patient is borderline unconscious but is still able to be awakened. Dental veneers are used in Scottsdale to improve the color, shape, or size of the teeth. They also can be used to replace missing teeth. The reason why someone’s enamel is damaged can include many reasons including high-acid diets and medications. With the help of our cosmetic dentist in Arizona, we can create a natural-looking smile for patients of all ages. Dr. Paul Douglas of Douglas Family Dentistry is an expert for veneers. Ultimately, veneers are a great option to pick the shade that you always wanted. They can be done with little to absolutely no removal of tooth structure. However, a consultation is needed from our experienced cosmetic dentist in order to determine if you’re a candidate for the restorative dentistry procedure. Our cosmetic dentist can decide which type of veneers will be best for your dental health. 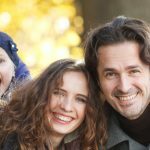 Invisalign corrects multiple problems for dental patients in Scottsdale including crowding and spacing issues as well as bite correction. With the help of clear braces, a patient can align their teeth discreetly over a period of time with clear aligners. This invisible dental solution and alternative to metal braces transforms old ways of dentistry. During an initial Invisalign visit, digital scans of the teeth as well as photos/x-rays are taken in order to track progress. Clear braces work with multiple trays that are changed out over a period of about two weeks (depending on progress). Our cosmetic dentist in Scottsdale can significantly help TMJ/TMD patients with this cosmetic dentistry procedure. Dental implants in Scottsdale is a great way to replace missing teeth in Scottsdale. They look and feel like natural teeth too. When someone loses a tooth, the bones starts to narrow and erode away. This makes it important to use dental implants in order to preserve the bone level that is needed for optimal dental health and anatomy as well as speech. Our professional cosmetic dentist in Scottsdale at Douglas Family Dentistry can evaluate each patient to determine whether or not dental implants is the right option for them. This simple dental procedure involves placing these dental implants directly into the jawbone. After a period of healing, the implant fuses as one with the jawbone. These implants should be kept clean and free of plaque (much like natural teeth). Our cosmetic dentist can offer an at-home routine suggestion for our patients in order to ensure that these implants remain as healthy as possible. Periodic follow-up visits are also needed to monitor someone’s progress. Different plans and individual providers will offer varying degrees of coverage, so if you’re concerned about the costs of an upcoming procedure or you want pre-authorization, it’s best to check with our offices first so that we can assist you in understanding what your obligations will be. Located at 10630 North Scottsdale Road, Douglas Family Dentistry serves families in Scottsdale, Tempe, Mesa, Phoenix, Paradise Valley, Glendale, and surrounding Arizona communities. To schedule an appointment to discuss the dental procedures and services we offer, call our office today at 480-948-3680.